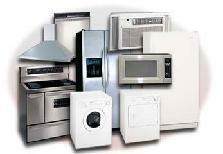 Welcome to our web site for Ace Appliance Service! Our coverage area is most of Santa Clara County*. San Jose, Los Gatos**, Campbell, Sunnyvale, Cupertino, Los Altos, Mountain View and Palo Alto. * We're sorry, but we don't service Morgan Hill-Gilroy at this time. We have been in business for a long time, over 50 years now! We are The "Original" Ace Appliance Service. A little history: Richard and Jane Fox started Ace Appliance service in 1957. Some may remember their store on El Camino Real in Santa Clara. When Richard and Jane wanted to retire, Tom and Valerie Forney bought Ace Appliance. Jane still works for Ace on a part time basis. Tom has been in this business a long time. He has quite a huge fan base. We call him the "rock star" of the appliance world. Our other tech Monte has been with us for several years, and we have been great friends with him for nearly 20 years now. Valerie runs the office and schedules all of the appointments. If you call, you will most likely get Val on the phone. Copyright 2009 Ace Appliance Service, Inc.